I just finished my first half marathon following your Novice 2 training program. I’m 59 years old and ran 2:36:59. Sweet! My next half is in November. Which training program do you recommend? Novice 2, both for half and full marathoners, is both a comfortable and successful way to train. Four running days a week. A touch of cross training. Two rest days bracketing tougher workouts on the weekends. The long run mileage is not onerous. A lot of runners use Novice 2 over and over again, finding they still can continue to improve by running some of the workouts a nudge faster. Intermediate offers a step up in difficulty. Five running days a week, and one of those days I suggest doing some speedwork: 400-meter repeats alternating with tempo runs. Add to that some pace work: doing a few workouts at race pace. I’m not convinced that Intermediate is that much more difficult than Novice 2. It’s simply different. But with a November race and those programs each only lasting 12 weeks, you have several months before you need to make a choice. I would spend those months dropping down in distance, perhaps selecting a 5-K or 10-K race this summer as an interim goal. Try doing some speedwork either at a track or on the road. You may love it; you may hate it. 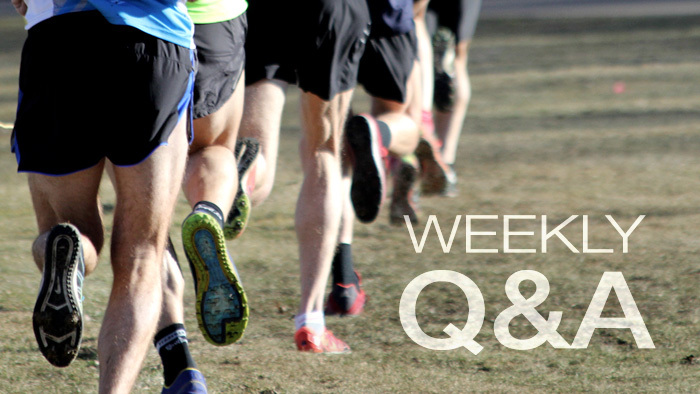 By the end of the summer, you should be able to make an educated guess as to which half marathon program will work best for you.